Pre paid credit cards have proved popular with consumers looking for the functionality of a credit card without the monthly interest fees. Certain pre paid credit cards do come with benefits such as rewards schemes and credit rating reporting. What Are the Benefits of Pre Paid Credit Cards? When pre paid credit cards were first introduced they were primarily aimed at those with poor credit records. Pre paid credit cards function in the same way as normal credit cards but customers must pre load the cards with cash before they can be used. Pre paid credit cards come with no credit checks, which means even those with poor credit records will be accepted. But these cards are a good move for anyone who wants the functionality of a credit card without the monthly interest charges and penalty fees. Don’t Pre Paid Credit Cards Come With Fees? When pre paid credit cards first hit the market they did come with numerous fees for loading cash, withdrawing cash and monthly fees. But the popularity of these cards meant the competitive element did kick in with pre paid credit card suppliers. Comparing pre paid credit cards will bring up a range of options including no monthly fees and no reloading fees. Using a pre paid credit card comparison site will bring up the ‘no fee’ options available. Are Reward Schemes Available with Pre Paid Credit Cards? Pre paid credit cards do come with rewards schemes similar to those offered by normal credit cards. Pre paid credit cards with the ‘cashback’ scheme will allow card holders to spend money and receive discounts and cash. Cashback rewards will build up every time a customer spends online using the pre paid credit card. Money will be deposited onto the account holder’s card and can then be used or saved. Account holders will usually have to register for cashback schemes but this service is free of charge. Should I Choose A Pre Paid Credit Card for Rewards? Cashback schemes on pre paid credit cards can be as much as 30% back. Well known companies such as Virgin do offer discounts and rewards when using their pre paid credit cards. 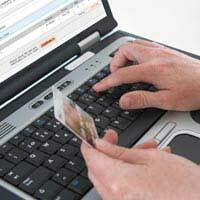 This may be beneficial for those who use their cards frequently for online shopping. But there are other factors to consider such as reloading fees and interest fees when withdrawing cash from an ATM. Customers should assess how they will primarily use their cards and the applicable fees before considering rewards schemes. What Other Benefits and Rewards Should Be Considered? Customers should work out which benefits will be the most useful. Certain pre paid credit cards will offer free purchase protection, which can be useful for those who frequently shop online. Those who frequently shop online should consider cards that give cashback or discount rewards. Those who transfer money abroad can also find certain pre paid credit cards that offer this service at a very low cost. Certain pre paid credit cards also offer excellent exchange rates for those who frequently travel abroad, usually called pre paid travel cards. Can I Still Receive Supermarket Points with Pre Paid Credit Cards? Pre paid credit cards can be used in supermarkets and stores in just the same way as normal credit cards. This means customers can still receive their loyalty points and discount vouchers when spending. One of the benefits of pre paid credit cards is that they are usually supplied by the major credit card companies such as Visa and Mastercard. This means there is a greater amount of places to spend at home and abroad when compared to some debit cards. A number of retailers at home and abroad do not accept all UK debit cards, which can limit spending options. Any Other Advantages of Pre Paid Credit Cards? Pre paid credit cards can prove very beneficial for customers trying to rebuild their credit scores. Certain pre paid credit cards now come with credit bureau reporting. It’s an easy way to rebuild credit records and should be a deciding factor for those with a bad credit history. Pre paid cards that do offer credit reporting may charge a monthly fee for this service. Applicants should always read the terms and conditions of any credit card, pre paid or otherwise, before signing a credit contract.